In recent years, South Carolina has witnessed hundreds of alcohol related accident fatalities in individuals over AND under the age of 21 years old. Unfortunately, impaired driving is an issue that has been ever present on our roads and highways and is one of the LEADING causes of motorist fatalities in the United States. Have you or someone that you love been involved in a serious accident that was caused by another motorist that was drunk or under the influence of alcohol or drugs? At the law offices of Harbin & Burnett, we strongly believe that drunk driving negligence is a serious offense and we will always fight for the MAXIMUM amount of compensation due to the victims of DUI accidents. Our compassionate and skilled legal team can help you navigate the legal system and bring you justice. To find out how we can help, call us today at 1(888)821-0247 or simply fill out the Free Case Evaluation form located on the right side of this page. 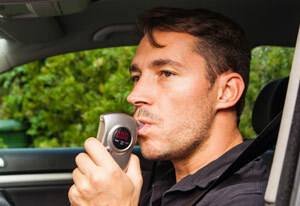 The Centers for Disease Control released a report analyzing driver alcohol use data from 2010. The report showed approximately 1.4 million DUI arrests nationally that year alone. Staggering statistics aside, it is very common for drivers to have one or two drinks and not believe they are too drunk to drive, compounding the issue. Misconceptions about what it means to drive drunk have led to numerous accidents because the driver did not believe they were too impaired to take the wheel. The accidents result in serious injury, in most cases, to the occupants of the opposing vehicles. The severity of the injuries and whether a victim lives or dies oftentimes relies on the positioning of the vehicles at the time of the crash and other factors. Speed, the types of vehicles involved and seatbelt use are all factors that can mean the difference between recovery and death for those involved. Other notable information is the fact that South Carolina has an implied consent law which makes it legal for an individual stopped on suspicion of DUI to refuse a chemical test, resulting in an automatic license suspension and a fine. The individual does, however, have the right to appeal the suspension within 30 days. Who is Liable for the Drunk Driving Accident? In most cases, the driver who received the DUI is liable for damages caused because of their carelessness and general disregard for the safety of others. There are some instances where another party can be held liable in addition the driver, though. Mistakes or misjudgments regarding the sobriety of a bar patron can result in over serving. If the drunk driver who injured you was served too much alcohol at a bar or other similar establishment, the bar may be held responsible under dram shop law, which places responsibility on the server or owner of the establishment to refuse alcohol to patrons that are obviously too intoxicated. Our lawyers will have knowledge of this type of litigation, and following a drunk driving incident the victims should seek legal representation to defend their rights and bring the negligent parties to justice. The compensation that can be awarded from a successful verdict or settlement can help pay associated medical costs relating to the injuries the victim sustained in the accident. No victims should have to struggle to afford their recovery, and the attorneys of Harbin & Burnett can offer peace of mind when they represent your case. Our attorneys at Harbin & Burnett understand that being involved in an auto accident can bring many emotions and cause an enormous amount of pain to the victim and their family, especially when the accident was caused by the actions of a drunken driver. Our team will work tirelessly to seek the MAXIMUM amount of compensation benefits for each of our clients and help them achieve the justice they deserve. If you would like to obtain more information about our law firm, we encourage you to call us at (888)821-0247 today. We can help to review the details of your claim and determine if you have sufficient grounds to file a damages lawsuit. You can also begin here by completing the Free Case Evaluation form at the top of this page or by clicking on the "CHAT NOW!" button to talk to a live call operator.